One stop shopping - this home is being sold furnished and has been recently updated including a newer HVAC. 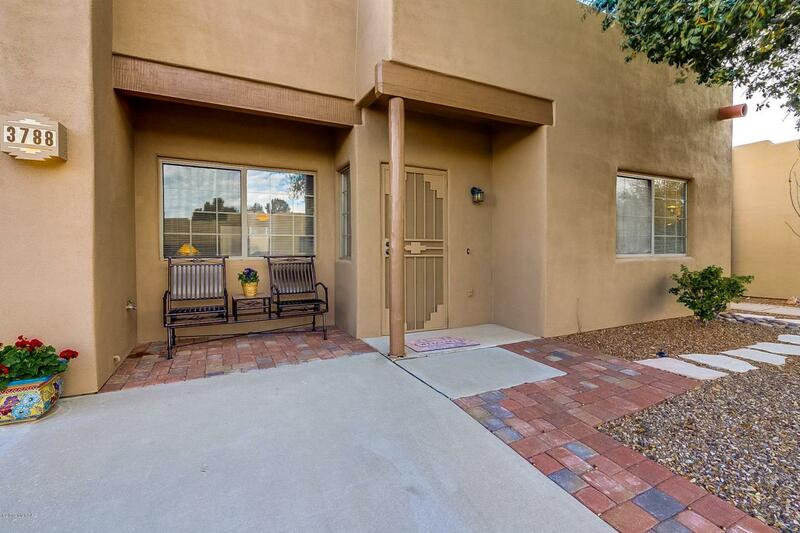 The simple low maintenance front yard is decorated by a mature tree casting shade on the lovely front bench giving it great curb You'll enter into the living room featuring numerous art and media entertainment niches and a roomy dining area with back patio access doors. A short pony wall with a walk-up serving bar leads you into the efficient kitchen where brilliant white countertops and appliances contrast the oak cabinetry. Slip away to your master suite where you'll find his and hers closets plus a dual sink vanity in the bath. 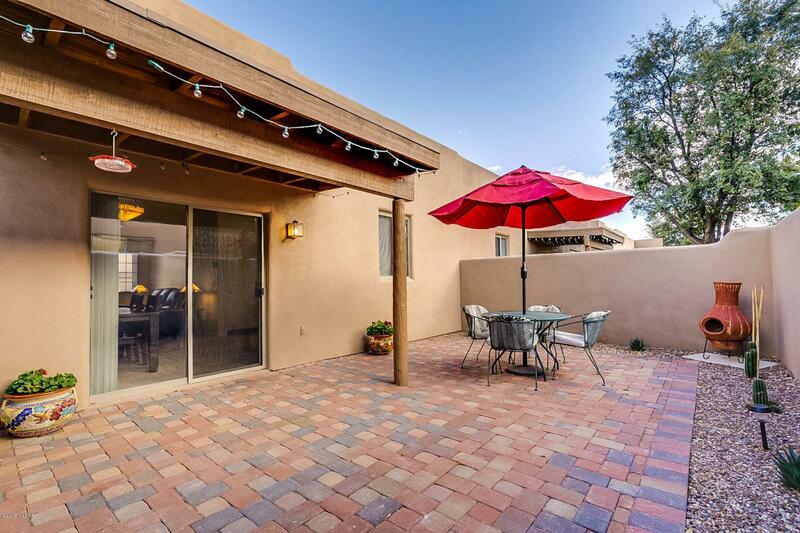 A new paver patio was just installed and the tall privacy wall creates a relaxing backyard sanctuary populated by mature trees while your covered patiohas post and beam construction to offer a touch of the old southwest. 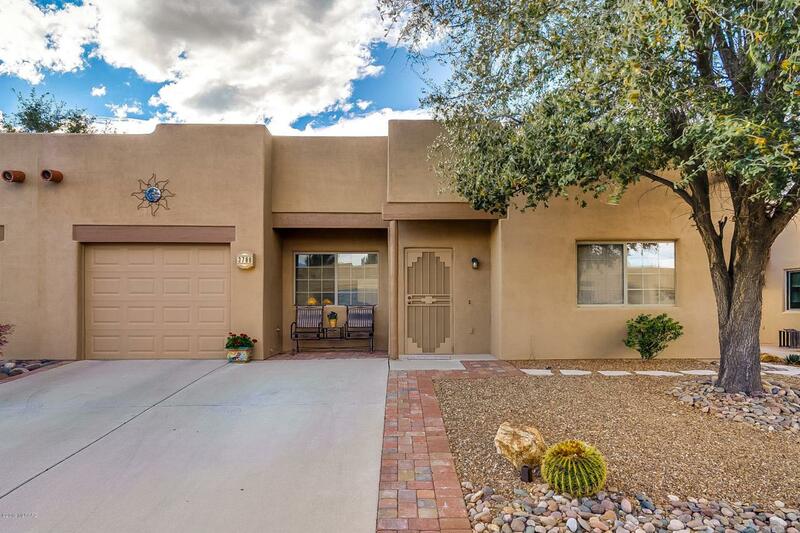 Located in the gated community of "The Springs" you will have access to a 1-mile walking trail where you can enjoy the natural desert scenery on your morning walks. 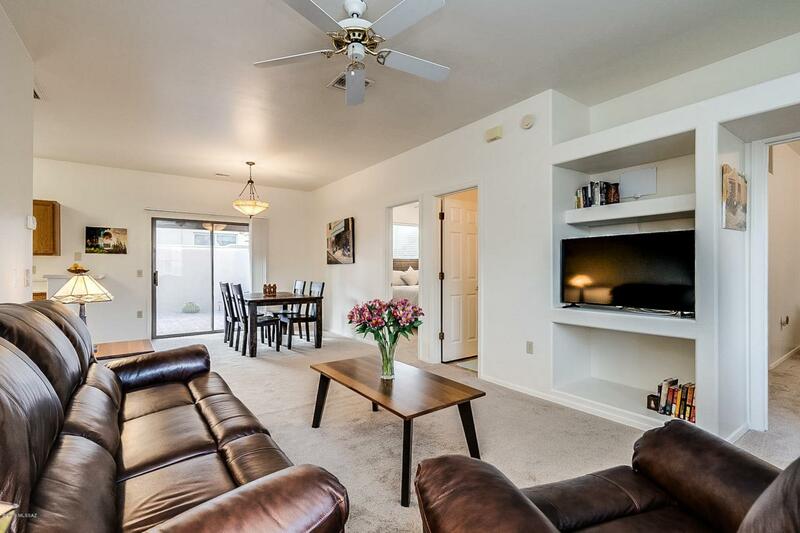 This home is also just one block from one of the finest Green Valley Recreation Centers which is home to the clay studio, arts league, computer club and camera club. The perfect place to escape to in the winter!